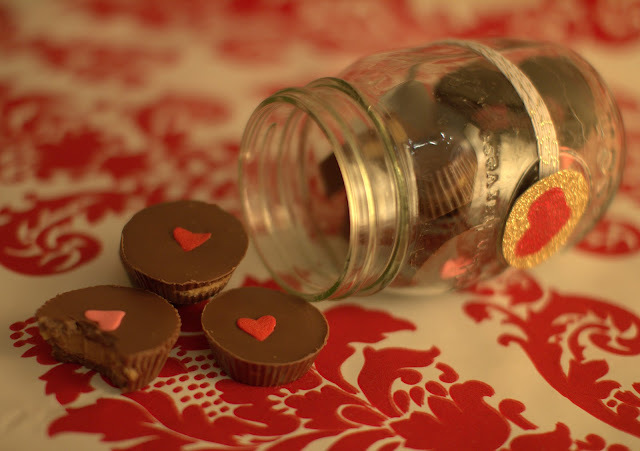 Chocolate and peanut butter anything are my kryptonite. 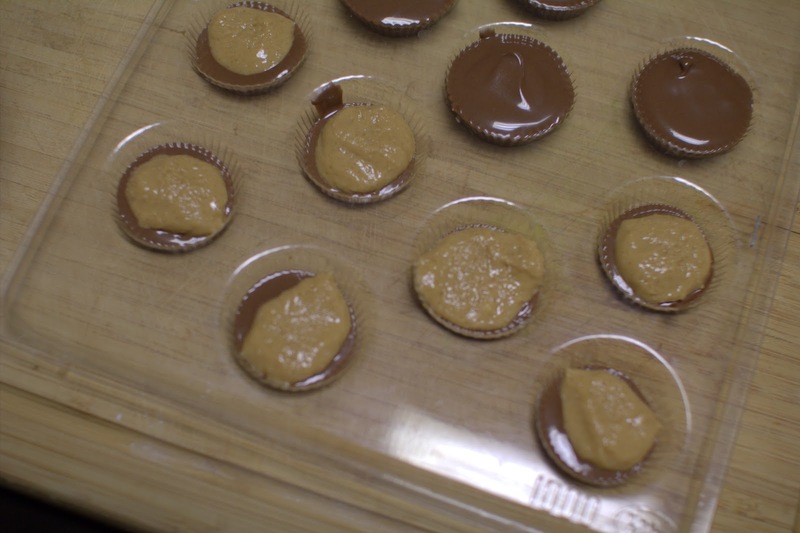 A Reese’s peanut butter cup is almost always hard to resist. I decided to give making this homemade version a try. 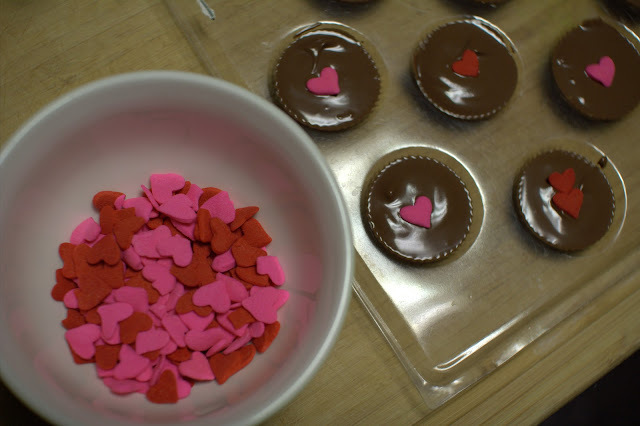 I used a plastic mold as well as mini cupcake liners, both yield great results. 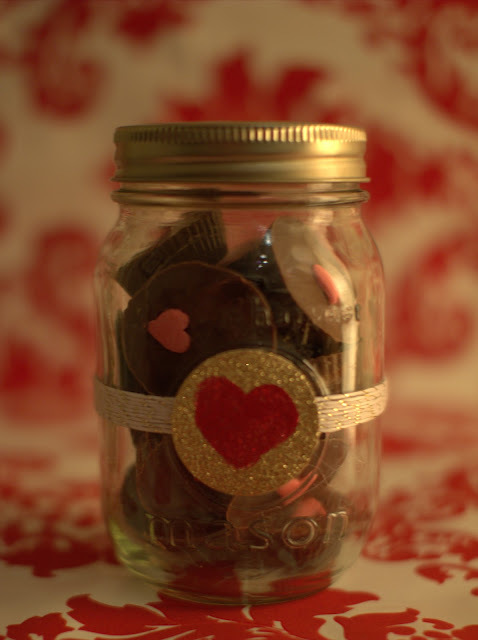 To make these goodies Valentine’s Day appropriate I decorated them with jumbo sized heart sprinkles. For the peanut butter lover in your life fill up a mini mason jar with these goodies and add some Valentiney pizazz. Now, who besides people with severe peanut allergies would not love this as a gift?! 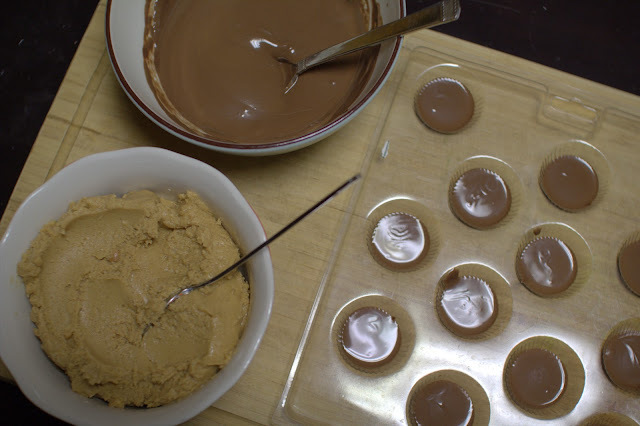 I made peanut butter cups once to give out at the holidays, and I was surprised at how easy it was! So delicious! I am SO making these, thanks! Reese's are my favorite, I may or may not be addicted:) can't wait to make these, your blog is darling! Thanks for sharing! These are so cute! I love the little hearts you added!